What Is Amaro Averna Liqueur? You may have seen Amaro Averna in a few cocktails, but what is it? Often simply known as Averna, this is one of the most popular Italian bitter digestifs on the market. A secret infusion of herbs and spices comes from a recipe that's almost 200 years old and the bittersweet liqueur is commonly enjoyed on its own. Yet, Averna is making an appearance in a number of impressive modern cocktails as well. 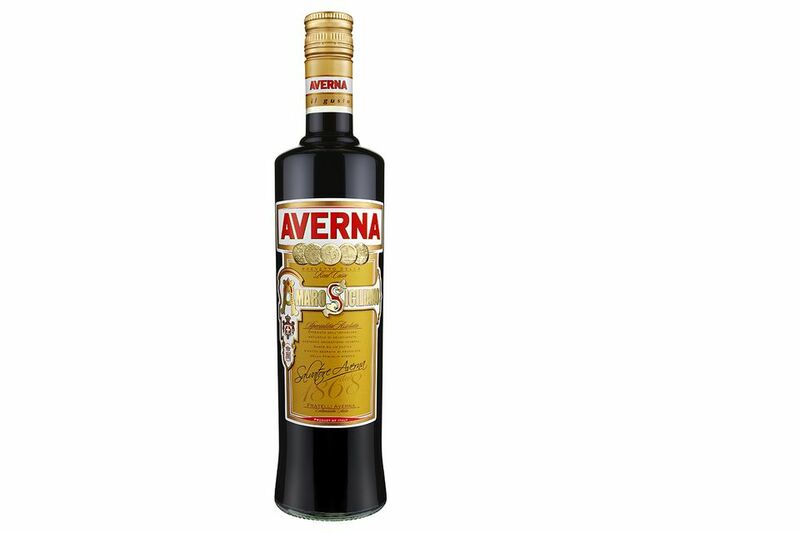 Averna is a popular Italian bitter liqueur (classified as an amaro) that is still produced from the original 1868 recipe of natural ingredients. The herbs, roots, and citrus are allowed to infuse in the base liquor for two extended periods of time. What exactly is included in this herbal blend is a mystery (or secret) for the most part, but pomegranate and the essential oils of bitter lemons are included in the list. Averna is dark brown, thick, and is best described as being bittersweet. It is sweeter than many Amari and you will note hints of anise, citrus, juniper berries, myrtle, rosemary, and sage in the taste. These flavors may further allude to more secret ingredients, though you can never be sure because some ingredients can mimic others. What is for sure is that the sweet herbal flavor of Averna makes it one of the most approachable in the class of amaro liqueurs from Italy. If you haven't tried a bitter Italian liqueur yet, this is a great place to begin. 29% alcohol by volume (58 proof) - Previously, Averna was bottled at 32% ABV. Known as a classic digestif, Averna is often served on the rocks or neat. It also makes an appearance in some great cocktails. Also, if you come across a recipe that simply says 'amaro' or 'Italian bitter,' Averna may be a good choice. Each brand of Amaro is going to be completely different from all others because of their proprietary recipes. This makes substitutions tricky and while there are viable alternatives, the drinks will not be quite the same. If you cannot find it or wish to try something similar to Averna, try Amaro Ramazzotti, Amaro Ciociaro, or Amaro Montenegro. The liqueur we know and love today as Averna began in the early 1800s. It is said to be a creation of the Benedictine monks of Abbazia Di Santo Spirito in the northern part of Italy. In 1868, the recipe was gifted to Salvatore Averna. A textile merchant, Averna quickly took to producing the bitter. When his son Francesco took over after the turn of the century, the younger Averna proceeded to get the family spirit more attention and fame. It worked and despite the chaos of the two world wars, Averna soon became a household name in Italy. Francesco's wife, Anna Maria took control of the company with her children during the 1920s and led the brand to even greater, worldwide fame. In 1912, Averna received the right to add the Italian royal coat of arms to its label in honor of its 'Royal Household Patent' status. In 1958, the Fratelli Averna S.p.A. corporation was formed for the brand. In 2014, this company was purchased by Gruppo Campari, which is headquartered in Milan, Italy. Today, Averna is infused in Caltanissetta, Sicily and bottled at a Gruppo Campari factory. What Does the Inscription on the Label Say? Obtained from the infusion of selected natural plant aromatics. Comes from a secret recipe owned by the Averna family"